Innowave 2017 Business and Startup Conference is an international high tech event, the main accent to which is Innovations in Marketing, Sales and E-Commerce. It is oriented towards the business community, startup community and proactive young entrepreneurial people. The goal of the event is to encourage innovative and creative thinking and to create a favorable environment in which participants can exchange successful business models, experience and good practices. Innowave 2017 Business and Startup Conference is being held in partnership with Municipality Varna (European Youth Capitol 2017) and with the support of the Ministry of Economy and the Prime minister of the Republic of Bulgaria. For the first time in Bulgaria will be held forum that will bring together world brands such as Indegogo, Google, Amazon, SalesForce, Alibaba.com, Yandex, Magento, Shopify and venture capital funds from three continents whose main purpose will be to help Forum’s visitors to make a digital transformation of their business and sell globally. 30 StartUp projects will be accepted through our Application form. Only 10 of them will be shortlisted to participate in the forum. The successful candidates will have a chance to pitch their startups, have strategic 1 on 1 meetings and most importantly – they will have the opportunity to receive mentoring by angel-investors, marketing experts and representatives of some of the biggest startup accelerators and venture capital funds. 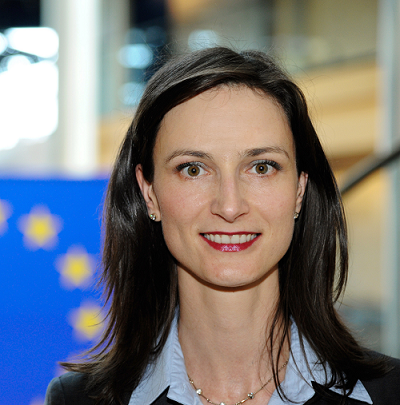 Mariya Gabriel is Bulgarian, she is the youngest European Commissioner in the EU. She contributes to delivering a Digital Single Market, helping to lay the groundwork for Europe`s digital future with EU-wide telecommunications networks, digital services that cross borders and a wave of innovative European start-ups. Lawyer and alumnus of the National School of Public Administration of Poland. During his career he has worked in private legal practice, as well as several public institutions and ministries. Before joining Google’s CEE public policy team he was head of EU affairs unit at the Ministry of Administration and Digitization, where he lead the negotiations on the general data protection regulation and network information security directive for the Polish side, as well as dealing with other internet-related matters, such as digital copyright, audiovisual media services and net neutrality. Drayton Bird is one of the most important figures in the field of direct marketing and advertising for the last 25 years, with 52 years experience in the field of online and offline marketing. In 2003, “Chartered Institute of Marketing” designates Drayton Bird as one of the 50 specialists in the world who have shaped the development of today`s marketing. He has worked for some of the biggest brands worldwide – Audi, Bentley, British Airways, Cisco, Deutsche Post, Ford, IBM, McKinsey, Mercedes, Microsoft, Nestle, Philips, P & G, Toyota, Unilever, Visa and Volkswagen. In various capacities – mostly as a writer, Drayton has helped sell a variety of products – from Airbus aircraft to the Peppa Pig animation. He has written 6 books, out in 17 languages, one of them “Commonsense Direct and Digital Marketing” has been a bestseller for all years since 1982. He has also been given Lifetime Achievement Awards numerous times. 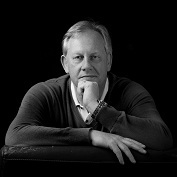 For over 20 years he has mentored leaders and teams from new start businesses to some of today’s most successful SME’s. From new start businesses, entrepreneurial spirits and SME’s to well-known corporate clients, across a broad range of industries and sectors. He is an officer and board member to several companies. 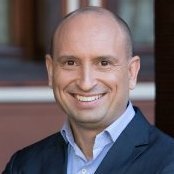 Аppointed as Country Manager of Alibaba.com, one of the largest e-commerce portals in the world, Cüneyt is responsible for all business processes and stakeholder relationship management of Alibaba.com in Turkey since May 2013. 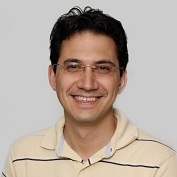 Cüneyt Erpolat graduated from the Faculty of Political Sciences at Ankara University and started his career as Product Manager at Xerox. He then worked as Channel Manager at Microsoft between 2000 and 2002, as Head of SME Department at Avea between 2002 and 2007, and as one of Anadolu Yatırım`s founding partners in 2007 serving as investment consultant. 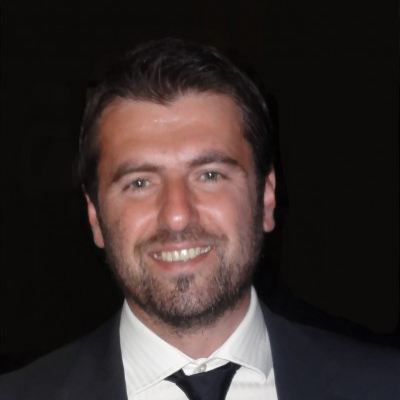 Erpolat, who served as Sales Director in Datamarket for one year in 2010, became Sales Director of Grenke Turkey between 2011-2013. As manager of hardware and design at Indiegogo, Sarah Meister works with technology companies from around the world to bring their ideas to life. Before Indiegogo, she was Head of Projects at Vann Alexandra, a creative agency for crowdfunding campaigns, where she worked on over 30 campaigns with a variety of different clients across film, technology, design, and publishing. Prior to that she worked in post-production and live TV as well as freelance public relations, e-commerce, social media, and marketing. 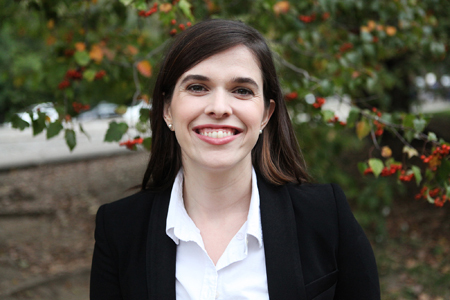 Sarah loves to learn and graduated from The University of Puget Sound with a bachelor's in History and a minor in Sociology, and even went to culinary school. She speaks regularly at industry events across all verticals. 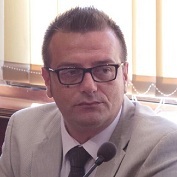 Krasimir Valchev has extensive experience in the field of financing of the education, evaluation and monitoring of the implementation of the European pre-accession programs.In 2002, he started work at the Ministry of Finance, and from 2003 to 2009 he was an expert in the State Expenditures Directorate, which is involved in planning, implementing, analyzing and evaluating budget expenditures. Krassimir Valchev participated in the development and implementation of sectoral and budgetary policies. From September 2009 until February 2017 he was Secretary General of the Ministry of Education and Science. From April to May 2017, he is Head of Department at the Local Government Financing Directorate at the Ministry of Finance. Elected Minister of Education and Science on May 4, 2017 directly involved in the activities of regulating delegated budgets, preparation of costing standards, allocation of resources in the system, drafting of normative acts, etc. Miguel is a serial entrepreneur who started his first venture in his early twenties. He is experienced business strategist, negotiator, business broker, mentor and author. Founder of several companies and NGOs. –Market Financed Inventions, CORKBRICK INTERNATIONAL. Strategic management adviser for several institutions in Portugal, Brazil and USA. An international speaker in several areas such as strategic management; e-work, entrepreneurship; venture capital; business brokerage; business citizenship; sustainable integration of disabled people. July Tonkin graduated Pharmaceutics. He admits, however, that he has never dreamed of realizing himself in this sphere. Later on he becomes a professional poker player and then admits that he is completely free. Now he motivates people and tells them what success is. Bas is CEO and co-founder of Mars One, a not for profit foundation with the goal of establishing a permanent human settlement on Mars. To prepare for this settlement the first unmanned mission is scheduled to depart in 2020. As CEO of Mars One, Bas is responsible, among other things, for investor relations, public outreach and for the initial contacts with potential suppliers, sponsors and partners. He is a persuasive and enthusiastic public speaker, presenting about Mars One about once per week at all sorts of events. Bas is an entrepreneur with an engineering background, interested in visionary technological business cases. 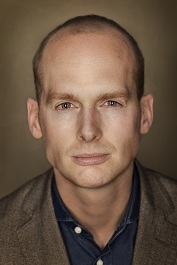 Bas Lansdorp speaks at events and conferences on all continents. He is a born entrepreneur with a passion for ambitious projects. He speaks about his experience as co-founder and CEO of Mars One: making the impossible possible. He Leads Amazon’s partner team in 50 countries in Central Europe to grow and develop the most customer centric Partner Ecosystem in order to help customers in their Cloud journey. The Central region spans from Switzerland to Turkey, South East Europe, Russia and CIS. He was also a Senior Business Development Manager Dynamics Ax at Microsoft from 2015 to 2016, Member of the board of LLP Group from 2000 to 2013 and Managing Partner at LLP Dynamics SEE from 2011 to 2014. Leading Microsoft Dynamics (NAV, AX) partner in Central and Eastern Europe. LLP Dynamics is part of LLP Group. 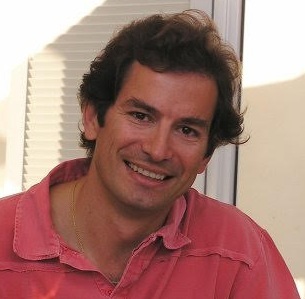 Since May 2013 Vesselin Popov is Business Development Director of the University of Cambridge Psychometrics Centre, a multidisciplinary research institute specializing in online behavior and psychological assessment. Leading industry collaboration, product development and tech transfer strategies for a world-class multidisciplinary research team at the University of Cambridge. Leveraging academic research and commercial insight to transform how we work, shop, move, meet and play, and ensuring citizens retain control over their digital identities in the process. Matt Brooke-Smith is a 4-times entrepreneur, having founded and run successful companies in mobility, video, and enterprise software from London, UK. He studied Computer Science and received a distinction from Southampton University. Harmony, his latest venture, enables companies to build enterprise grade mobile Apps without writing code. Harmony is being used across financial services, healthcare, media and energy industries to fuel digital transformation and mobilise business. Marvin has been actively involved in starting and/or growing more than 100 technology companies – and investing in many of them – over the last 30+ years. He was a founder and first CEO of a startup that went public 7 years later and was ultimately sold to a Fortune 500 company. Also, Mike was an adviser to a $1.4 Billion Equity Fund, where he screened the companies to be funded and served on their boards. Michael Marvin also founded and helped manage a seed capital fund that invested $10,000 – $100,000 in startup companies concentrated within a 60-mile radius of great universities (Rensselear Polytechnical Institute). Throughout his career, Mike has been a CEO, Chairman of the Board, Board Member, Advisor, and/or an Investor with numerous technology companies located in New York, Florida, Virginia, Connecticut, and Canada. She is strategically oriented senior business executive and board level advisor with extensive domestic and international business management experience. With a progressive eighteen years career distinguished by exceptional new business development, local banking and corporate structures, and commercial success, she offers expertise within the competitive field of management consulting, helping new investors in the UAE to establish and manage their businesses.Since Jun 2009 she is Managing Director at My Business Consulting DMCC. From Nov 2007 till Mar 2009 is a Finance Director at International Diamond Group DMCC. 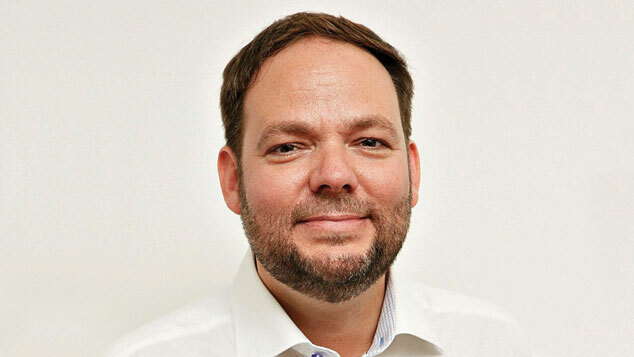 Björn Weigel is a business strategist, investor/entrepreneur and economic growth protagonist that commenced working as a management consultant at Booz Allen Hamilton, before starting his first company – Dobono AB – 2004. In October 2016 Bjorn together with a colleague releases The Innovation Illusion, published by Yale University Press, a book claiming that capitalism has lost its mojo. He is also part of the board of ECIPE, The European Centre for International Political Economy, an independent and non-profit policy research think tank dedicated to trade policy and other international economic policy issues. 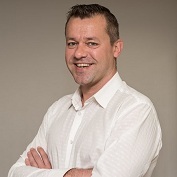 Born in Watford (UK), Peter is a communications and presence coach, public speaking & pitch trainer, conference host running Hopwood Communications. Essentially, his strength lies in helping companies, professionals, startups and high performers to confidently communicate with impact. A passionate communicator, listener and motivator, Peter just loves to share ideas and holds a strong appreciation for collaboration and development. A quick thinker with an acute attention to detail – and loves to be kept on his toes. With a background career across the hospitality, travel, and training industries feeling lucky enough to have moved through 7 European countries, Peter now combines all of his accumulated communication experience, balancing his work across Europe, the Middle East, Asia and everywhere in between. 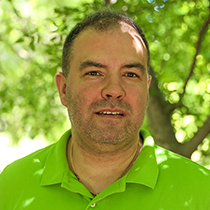 Rumen Ivanov is a Master of Science in Industrial Management and Marketing at the Technical University of Sofia. 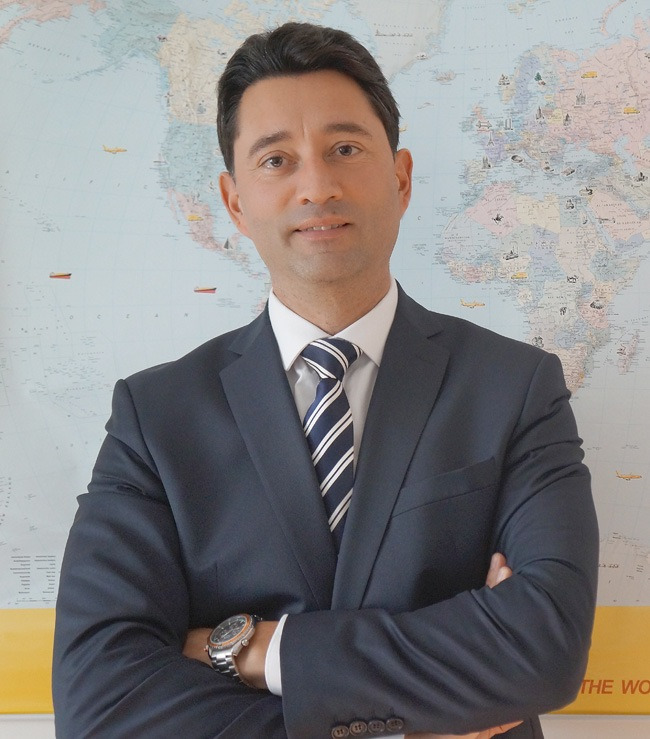 His successful and long-lasting career at DHL Express began immediately after graduating in 1997. During the past 20 years he has held various positions in the company. He started as a customs clearance officer, in 2007 he became Head of Customs Department and in 2008 he was appointed Director of Flying Operations and Customs. 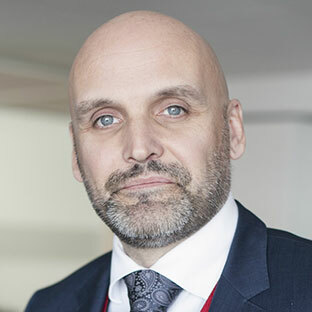 From 2013 until the end of 2015 he is the Director of Operational Network for Bulgaria and since 2016 he is the Executive Director of DHL Express Bulgaria. 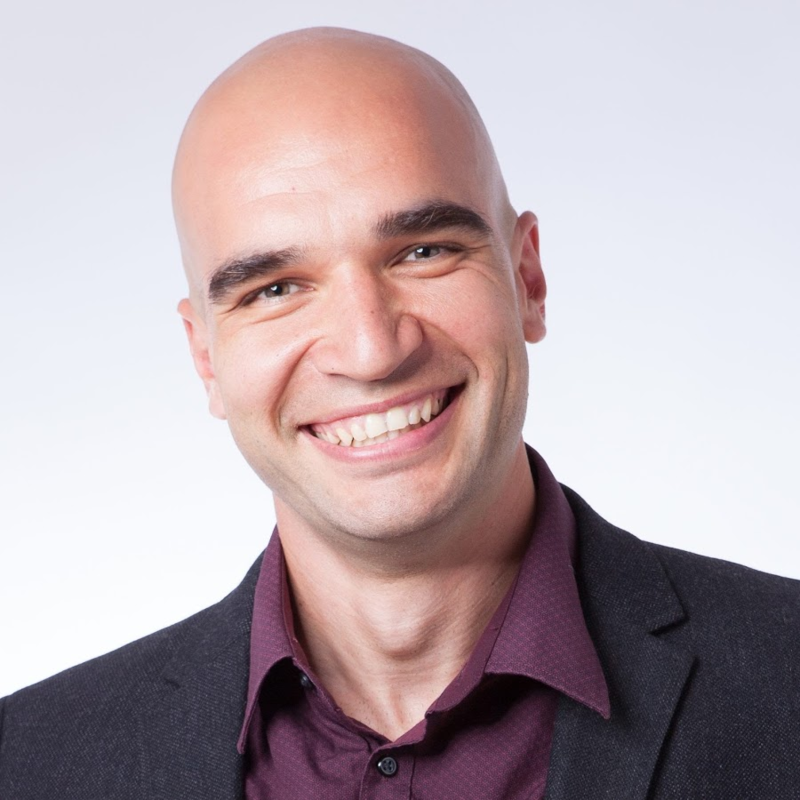 Milen Ivanov was born in Silistra and has been a serial entrepreneur in various business areas over the past 15 years, mainly related to Marketing and B2B services. He has experience as an investor, employer and manager in spheres including advertising, event management, internet projects and business services. He has several awards - "Young Entrepreneur of the Year" 2003, "Creativity Award and Innovation" at the WYBA World Finals in Istanbul, one of the 40 younger innovators under 40ty who are changing Bulgaria according to a Darik radio contest. 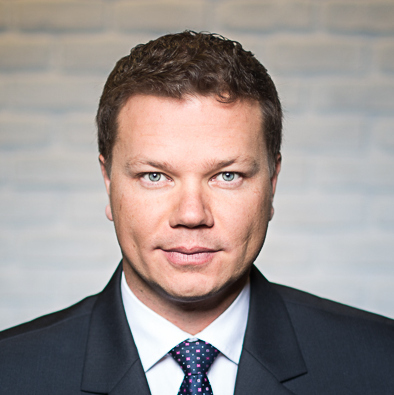 Founder and Chairman of CEO Club Bulgaria - the largest informal network of top managers and entrepreneurs in Bulgaria.Some of the companies he founded and run are JordanSheppard Executive Search, Horizons Recruitment, Gift.bg, Bulgarian Indoor Advertising, Sponsio. He is the author of the book: How to find a better job in Bulgaria?Since 3 years he has been the Director of The Founders Institute for Bulgaria, the world`s largest Academy of entrepreneurs and a startup incubator at the level of an idea with headquarters in Silicon Valley, and CEO of Angels Club, the angel club for investors who helps Young start-up companies to develop their business. Executive Organizational Leadership Coach, CEO, DreamersDo Ltd.
What are the two game changing factors in business in the Digital age? Executive Organizational Leadership Coach, CEO, DreamersDo Peter is the founder of DreamersDo – the first executive coaching company and premium provider of organizational leadership services for CEOs and organizations dedicated to catalyzing more visions into reality for a better world and sustainable profitable business growth. In the last 11 years he has partnered with the CEOs and their teams of leading financial, infrastructure, media, advertising, chemical, pharma and energy companies to tackle market challenges and be at the forefront of their industries. 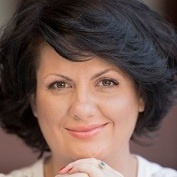 In 2012 in Las Vegas he has been awarded with one of the greatest recognitions in the coaching industry worldwide – The ICF President’s Award for her leadership and contribution to establishing the coaching industry in Bulgaria. Prior to that he has led pioneering IT projects like developing the intel server market for business and the first Microsoft OEM channel in Bulgaria, while working at leading tech companies like HP, Compaq and one of the first distributors of Microsoft. In 2004 he was acknowledged by Carly Fiorina the then CEO of HP with “The Best of the Best” Excellence Award for HP sales managers worldwide for “his leadership and significant contribution to the company”. A lawyer with interests in the field of the international business law and management, intellectual and industrial property law. Member of the Sofia Bar association. Mrs. Dimitrova has been engaged in several projects in the field of public healthcare, including transplantation, auto transplantation, establishment and management of medical institutions, medical responsibility and trade with medical goods and drugs. She was part of a team - legal consultant of Sofia municipality for preparation of concessionary analysis and documentation for building of an underground public parking space, as well as projects regarding waste management and environmental protection. 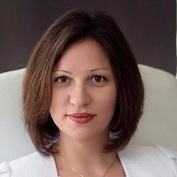 Since Oct 2015 she is a Managing Partner at Dimitrova and Staykova Law office. She was a lector at “Business Alternatives Program” and “I can – here and now” in 2016. 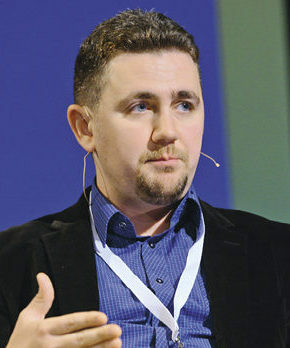 Stiliyan is a marketing consultant and co-founder of 3 companies - Zapomedia.com, Oba.bg and Zdravei.org. He has has very comprehensive knowledge on internet marketing and social media management that helps companies and entrepreneurs find their social voices and build their digital brands through micro content, storytelling and marketing funnels.For the last 3 years, Stiliyan advised (1-on-1) over 150 successful business owners on how to use Online Marketing to boost sales, customer engagement and build a successful digital business strategy. Companies he worked with and went through his workshops: Pfizer, Forbes, Banka DSK, SoftUni, Runners, EO Dent, Grazia Magazine, Teodor, Ofertomed, Vikiwat, etc. 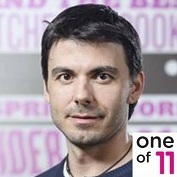 His specialty is Facebook Marketing and he's the creator of the #1 Facebook marketing course in Bulgaria. 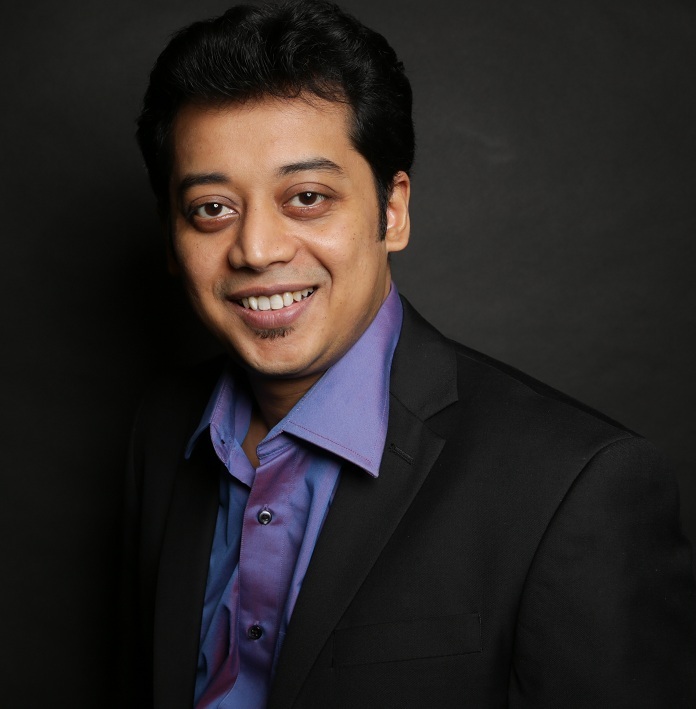 He has marketing experience in E-commerce, Mobile Apps, Retail, Personal and Corporate Branding, SAAS, etc. In addition, he is the founder of Facebook Business Academy where he teaches business owners and marketing experts how to make money using Facebook ads and psychology strategies. In 2016 and 2017 more than 1000 entrepreneurs and marketing experts went through his Facebook workshops and live events. In the past, he was a Marketing Expert for one of the hottest cloud storage Startups in 2013 – pCloud (Direct competitor of Dropbox). He was a team leader and an active member of the biggest nonprofit youth organization in the world – AIESEC. Rumen Iliev is a Partner of LAUNCHub since May 2012. 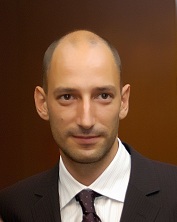 Mr. Iliev manages the application process, the pre-selection and the portfolio relations. Previously, he had his own business consultancy practice focused on solving business issues and helping companies and their management in achieving business goals. 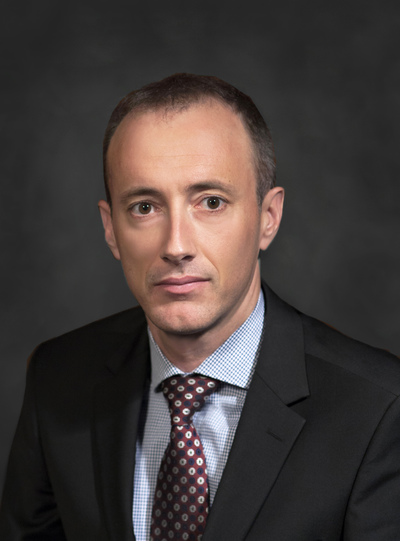 During his professional career, he has held various senior expert level positions at some of the biggest multinationals in Utilities and Insurance in the CEE Region. Interested in Entrepreneurship, Startups, Venture Capital, Investments and focused on building connections with the relevant people in the startup / entrepreneurial ecosystem that can help early stage companies achieve their goals. Boyan S. Benev is a young entrepreneur. CEO at SHYN.One.He is a strategist, speaker and writer born in Bulgaria, raised in Britain and now living back in Sofia, Bulgaria. He founded his first company at age 16 and since then he has been working as a consultant in marketing, sales, media and information technology. 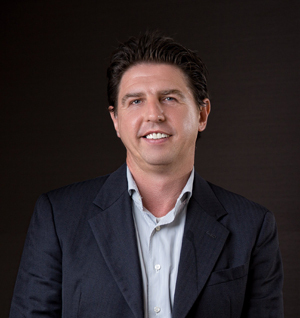 Boyan is the founder and Chairman of the Bulgarian Entrepreneurship and Innovation Cluster. He is passionate about delivering long-term, sustainable change both in business and society.Areas of interest for Boyan are education and value-generating business. He was declared as UK`s Top Young Entrepreneur in the Start Your Business magazine`s ranking. Boyan also loves to write. He has published 3books – “The Little Book of Business”, “The Little Book of Reality” and “Two Generations” which had the book of the month awards from Onda Coffee Break. 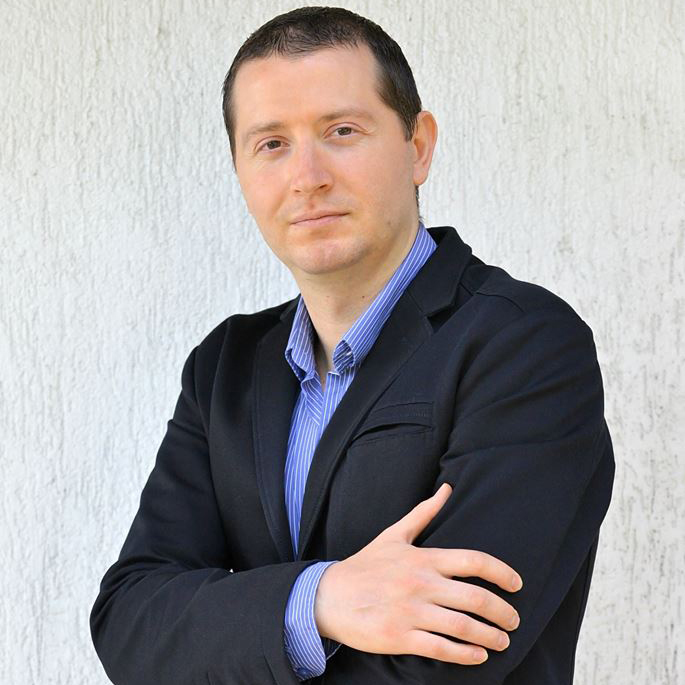 Mr. Florin Filote is the head of eMAG Marketplace for more than two years. His former experience in companies such as Selgros (major cash&carry retailer) and Ecopack undoubtedly helps him to overachieve the eMAG Marketplace growth agenda. During his supervision the platform is about to develop to an impressive 10000+ participating sellers in the region till the end of the year. Now Florin Filote is ready to share what does it take to attract so many partners and how to scale a platform to such level. 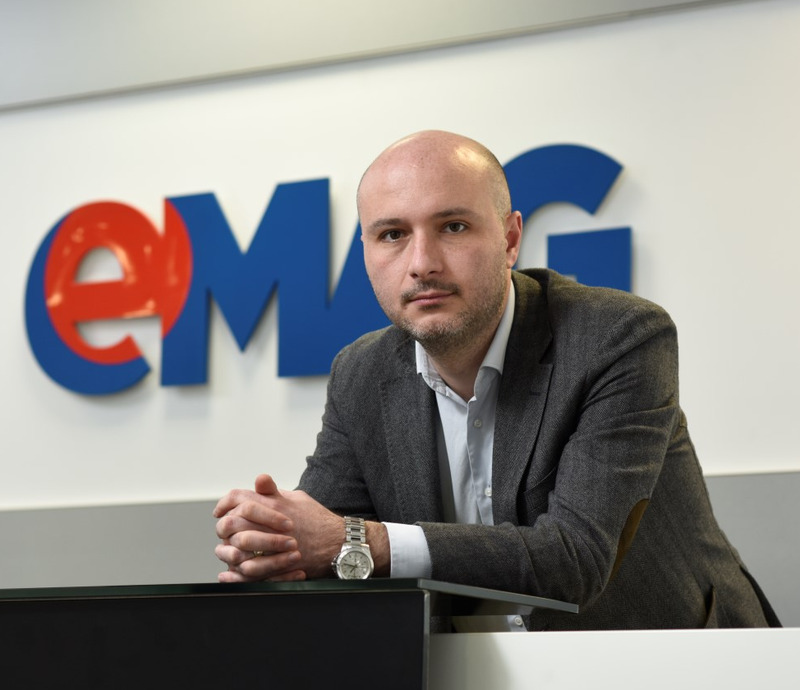 eMAG was founded in 2001 by Romanian entrepreneurs and is the local e-commerce market leader. The company has a strong presence in Bulgaria, Hungary and Poland which makes it one of the top e-tailers in the CEE region. For all these 16 years eMAG focuses and invests in constantly improving customer shopping experience. Clients benefit from added value services, such as 30-days return policy, opening the parcel at delivery, 24/7 call center, Pick Up and Return Service, loan financing through eCredit, or mobile app access. At eMAG customers can find a wide range of products, from IT, mobile phones, domestic appliances, electronics, books to children articles, auto parts and accessories, home and garden or sport equipment. 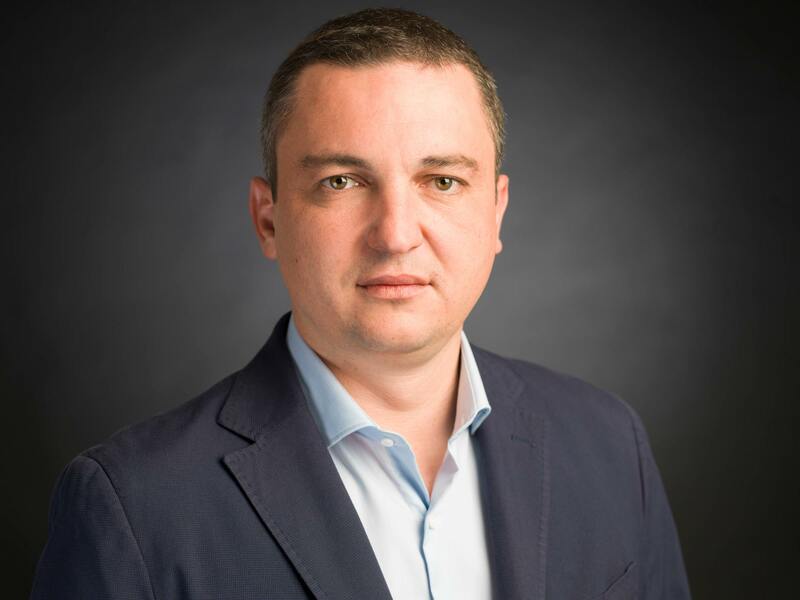 Nikolay Petkanov is a regional representative of the Bulgarian Small and Medium Enterprises Promotion Agency (BSMEPA).He is an experienced Regional Operations Manager with a demonstrated history of working in the government administration industry. Skilled in Negotiation, Business Planning, Customer Service, Sales, and Strategic Planning. Nikolay is a strong operations professional with a Master of Business Administration (M.B.A.) focused in Leadership in Global Environment from Varna Free University "Chernorizets Hrabar". Simeon is experienced Project Manager, Coordinator & Senior Web DeveloperHe is a highly skilled web developer with over 9 years of professional experience. In recent years he has focused his skills and experience in the field of project management. Over the past few years he has led various projects ranging from online gaming to online gambling portals, accounting systems and ecommerce SaaS platforms.2 years ago he co-founded his second company, Startup Masters, where he currently hold the position of CEO. Simeon is the main organizer of BizzIT - the largest charity IT event in Bulgaria, which raised over 10 000 BGN for the treatment of children in need.He has also been a lecturer for the past 2 years, teaching eCommerce and back-end development in Sofia and in the Webrika Academy in Pleven, which he co-founded. Also, Simeon is regularly teaching, organizing and hosting seminars and conferences in the IT and eCommerce fields. 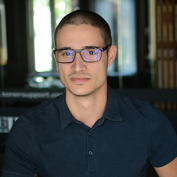 Simeon Prusiyski is a co¬founder & CTO at Startup Masters and an active supporter and Vice-president of the Startup Foundation Bulgaria. Founder, CEO and lead strategist at Develandoo - а software accelerator that is changing the way companies build products. His experience includes acting as CTO of a Munich-based Startup accelerator, lead engineer at various enterprises, and acting as a lead developer or technical co-founder on more than 50 high-profile projects. He loves programming and describes himself as a person who can deliver successful projects with high revenue. From Dec 2014 till July 2016 is a Senior Software Engineer, Technical Lead at Elsevier - responsible for building fast changing web and mobile applications using the latest tools on the market, big data infrastructures, real-time REST API-s.
Alex Popov has 3 business in the field of digital marketing, advertisement, sales and effective communication. These businesses allow him to have enough free time and to live by his own rules. 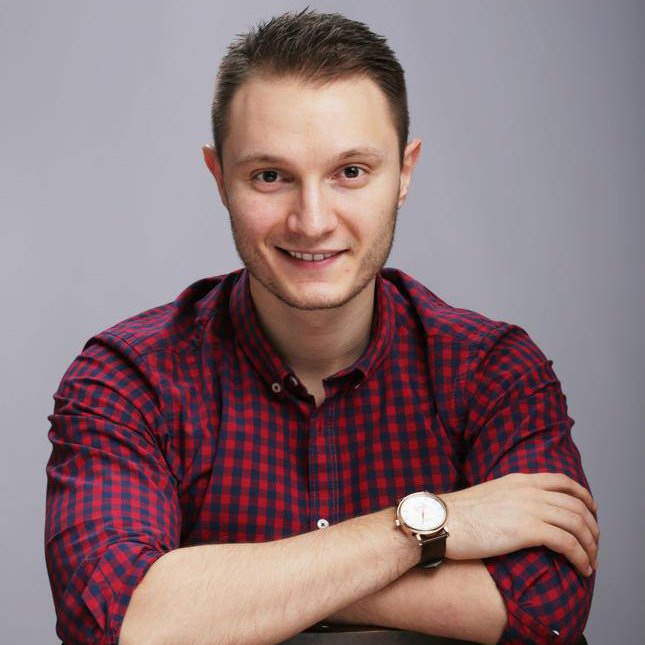 Alex Popov builds profitable online advertising campaigns in the areas of: Web Design (England), Accounting Services, GPS Tracking, Ebooks (US), Neuro-Linguistic Programming, English Language Courses, Chocolates, Nutritional Supplements, Cosmetics, Handmade jewelery. A partner working as a copywriter for Drayton Bird Associates (England). His client is The Institute for Natural Healing (USA). 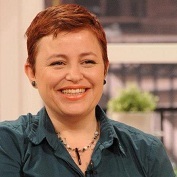 Justine Toms is one of the leading experts and entrepreneurs in the field of online medias and online marketing. Founded and manages the web agency ABC Design and Communication from 1998 and online media group “Az media” from 2001, including the web sites Az-jenata.bg, Az-deteto.bg, Ludi Mladi and others. From June 2011 the media group is part of the portfolio of Investor.bg. Justin Toms is founder and organizator of the competition for best bulgarian site and best internet impact “BG Site” from 1999 till now. Author of 10 books with topics online media and marketing, web influence. Specialist in the field of interactive advertising, internet media planning, email marketing and Web 2.0. Long-standing trainer and lecturer of seminars and corporate trainings with topics such as medias, PR, marketing and internet advertising in Bulgaria and abroad. Dilyan is an investment specialist with over ten years of experience in the field of finance and equity investment. He is a co-founder of the Eleven Accelerator Venture Fund, a 12 million-euro fund for investment in startups in the Central and Eastern European region. 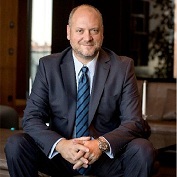 Prior to his engagement with Eleven, Dilyan served as Vice President of Bedminster Capital Management, a $ 320 million fund, investing in private companies in the Central and Eastern Europe region, and participated in all stages of acquisitions transactions in the healthcare, financial services and media. 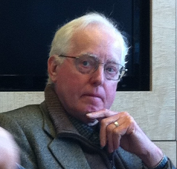 Larry Biehl graduated Stanford University. After developing his own business in Silicon Valley, he starts helping young entrepreneurs to do the same. 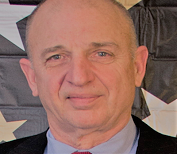 For over 50 years, he is a financial advisor and investment manager for different startups all over the world. 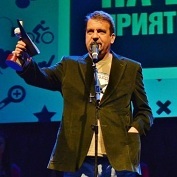 He is the founder of Interculture foundation which finances the project Bulgarian Entrepreneurship Center. 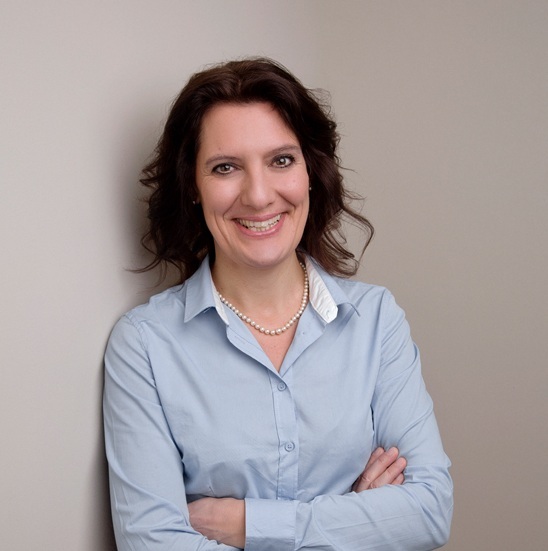 Passionate Entrepreneur, Co-founder of HRTech Conscience and Delité Advisory & Partners. Currently focusing on AI driven Analytics, Digital Strategies, Blockchain and Digital Transformation. Over 13 years of experience on Strategies, Analytics, Cloud, UX, Security, Integration, and Entrepreneurship in Business & Technologies (inc. SAP Applications). Manuela stepped into the fascinating world of Blockchain a couple of years ago. From the start she tried to figure out the question: “What is Blockchain and what does it mean to us?” As a Digital Transformation Manager with a background in Finance, Health, Telecom, Real Estate, Ecommerce and some other markets she helps organisations with the different challenges and opportunities new technologies bring. Using her methodology LearnDreamBuild she supports organisations through the path of getting to know more about Blockchain up to building a prototype or a whole new platform. Blockchain is not just a new technology. It triggers a new culture, a new way of working, new business models and has the potential to disrupt institutions that have been there for a long time like banks, governments, energy suppliers. Everything seems to be changeable, even more when Blockchain is combined with other new technologies like Artificial Intelligence, Internet of Things or 3D printing. It is time to rethink our future. Niki Kanchev is a Bulgarian television and radio host, showman, famous for hosting the Bulgarian version of Who Wants to Be a Millionaire? 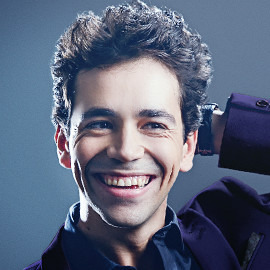 After he became popular with the show, he was selected as a co-host of Big Brother Bulgaria, Vip Brother and Big Brother All stars, SMS for a millions, the show “Rent me - Niki Kanchev”. He also hosted the game show 1 vs. 100. Thinking out-of-the box – Is it mandatory for business success? Miroslav Bogdantsaliev has a Master`s degree in Mathematics, and further specialised in Management and Information Technologies, at the Southwest University "Neofit Rilski" in Blagoevgrad, Bulgaria. He moved to the United Kingdom in 2000, where he has lived and worked ever since. During his first few years in the UK he worked independently on various building projects. He started his first company - Avalon Build - with a very limited initial capital in 2005. Since then, the company has grown at a fast pace, and today works on large-scale projects in the construction sector. Avalon Build has received several prestigious awards, including: ‘Top 50 Construction Companies in Sought-East England’ of BUILD Magazine, ‘Defining The World 2016’ and ‘Best of interiors for 2016’. The business founded by Miroslav Bogdantsaliev has an impeccable reputation for reliability, integrity and quality of service, and is one of the best known and sought-after construction companies in London and Sought-East England. In recent years, Miroslav Bogdantsaliev has launched several new business projects in the fields of construction, real estate and investments. Most of them boast a seven digit turnover and continue to develop at a fast pace. In 2017 Miroslav founded International Business Alliance.Bulgaria – the first social media of International Business with Bulgarian connection. Rune Sovndahl, is a co-founder and Managing Director of First Online Solutions - a company that creates professional software products, individually tailored to the needs of each customer, including websites, databases, web design, mobile applications, online and marketing optimisation and more. Rune Sovndahl, who is Danish, moved to London almost 20 years ago to study for a BA (Hons) in Business Information Systems Design in South Bank University. Following completion of his degree, he was accepted onto a graduate programme with British Telecom. In 2003 he also established the European Young Professionals committee in London and was involved in its website`s creation as well as in the recruitment of more than 200 new members. Most recently he worked for lastminute.com as Head of SEO. First Online Solutions currently has offices on 3 continents - Europe (United Kingdom and Bulgaria), Australia and North America (USA), and employs around 500 specialists. 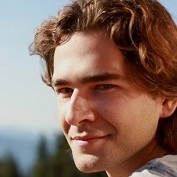 Emiliyan Enev is a business developer and entrepreneur in the field of digital technologies. He is a chairman of the NGO Startup Factory and works for developing the startup ecosystem and IT communities in North Bulgaria. Among his achievements are an award for participation in a recent CeBIT fair as a specially selected startup and winner in the competition App Challenge 2.0. His latest startup is in the field of managing digital identity of products through blockchain technology and electronic tags. The company is called Recheck and recently finished Dutch accelerator and started business operations in Western Europe. Emiliyan is a big advocate of blockchain technology and believes that it will have huge impact on how we do business in the next years. 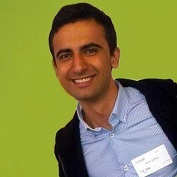 Georgi began his career as a software engineer in 2004, and later on he created the software startUp Imagga. The company is a leader in its field and winner of many international awards such as the South Summit`s Best Technology Vendor, World Champion in the News and Media category of the World Summit Awards `16, Global Image Innovator `16 and many more. Georgi is also the winner of Forbes Bulgaria`s "30 under 30" award for 2013. He is highly motivated to succeed, so he can inspire people with their personal stories. 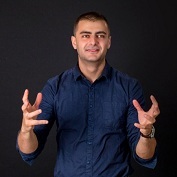 Dimitar Savov has been working in the field of web design and online marketing for 12 years. There are successful advertising and marketing campaigns in 65 countries across 6 continents. He has participated in nearly 200 online business projects and has his own analysis and optimization system for online stores. He is also co-founder of the Startup Masters Digital Marketing Agency. 8. Andrew started his life understanding e-commerce marketplaces around 18 years ago being one of the first sellers on ebay UK and over a period of 9 years built this to a €10m internet business. 6 years ago he was approached by ebay to help consult with brands and manufacturers how to start selling on the platform. Due to the high demand for this kind of service he decided to form the company e-motive. 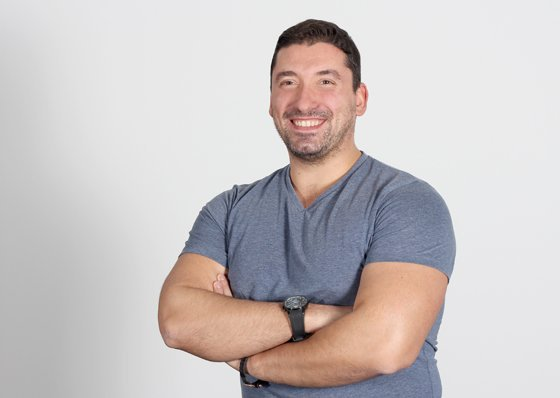 With offices in New York, UK and Varna Bulgaria he works with 60 talented colleagues whose main aim is to help companies worldwide sell on eBay and Amazon. Their current clients include Liverpool Football club, General Motors, Aston Martin and many more SME’s. Andrew also works directly with ebay and amazon worldwide on helping to improve the marketplace for buyers and advises on future strategies. What really excites Andrew is to help sellers to take a great or new product and make it a e-commerce success. 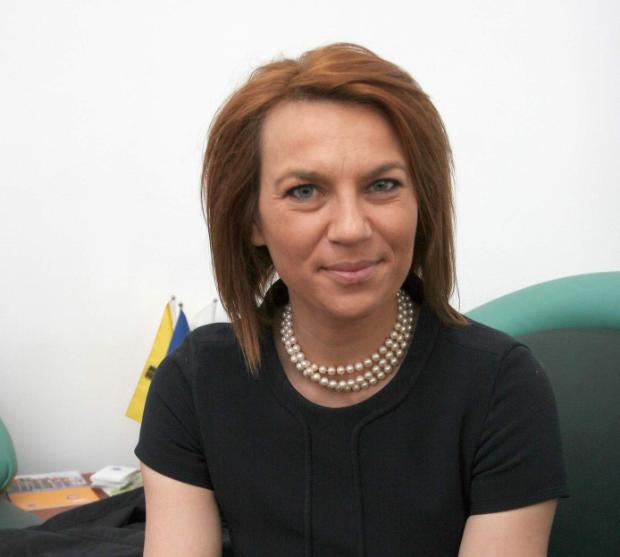 Bilyana Raeva was elected as a Member of the European Parliament to the first European elections in Bulgaria in June 2007. In the European Parliament she is chairing the Delegation for relations with Switzerland, Iceland and Norway and the European Economic Area (EEA). 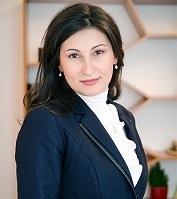 She is a member of the Committee on Employment and Social Affairs, an alternate member of the Committee on Economic and Financial Affairs and Vice-President of the EP`s "Urban Development" Intergroup.From 2013 she is a representative of the Municipality of Varna in Brussels and participates in the campaigns of the city of the European Capital of Culture 2019 and the European Youth Capital 2016 and 2017. In 2015 he is authorized by the Mayor of Varna to represent the municipality in the Managing Board of the Association "Varna - European Youth Capital". 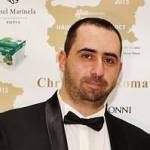 Dimitar Vasilev is Chairman of the Bulgarian Business Forums and Executive Director of Webest Ltd.- a digital marketing company. He is part of the Digital Leaders Network of the World Economic Forum. 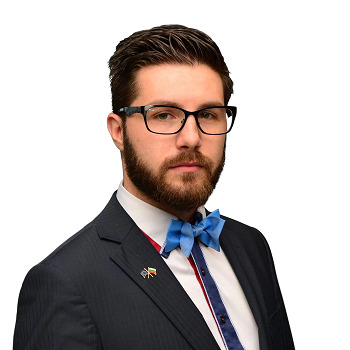 Dimitar is a full member representing Bulgaria in the European Startup Network and a member of the Governing Boards of Varna European Youth Capital and National Representation of the Bulgarian Start-up Entrepreneurial Community. President of Round Table Bulgaria and Member of the Board of Directors of Round Table Varna. He strives to encourage the entrepreneurial and personal development of young people in every effort. Opening and Welcome Address from the Mariya Gabriel - European Commissioner for Digital Economy and Society and Ivan Portnih - Mayor of Varna. Larry Biehl " 3rd Space Thinking: Skills need to grow a business "
Sarah Meister Indiegogo "Misconceptions of Crowdfunding"
Miroslav Bogdantsaliev " Thinking out-of-the box – Is it mandatory for business success?" Kamelia Allow " Accelerate Your Startup Growth "
Michael Marvin " 5 Lessons for Investors "
o	Dimitar Vasilev - BBF Angels. Vesselin Popov "Rethinking personalisation with Big Data and Psychometrics"
Peter & Irina Gorialovi "What are the two game changing factors in business in the Digital age?" 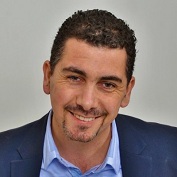 Florin Filote (eMag) "Marketplaces. The (r)Evolution!" Manuela Krull-Mancinelli "Digital Transformation & Blockchain"
Dale Howarth "Practical Lessons for Better Business "
Soumyasanto Sen "Avoiding the Digital Transformation Failures"
Bilyana Dimitrova " How to avoid fatal mistakes when building a start-up and accepting investments "
Bas Lansdorp " Getting humanity to Mars "
Jean-Luc Scherer "Transform or die! - How Digital disruption threatens every industry"
Matt Brooke-Smith "The necessary conditions for innovation"
Stiliyan Zaporozhanov "How to Beat Your Facebook Competition with Facebook Messenger Ads"
Peter Hopwood " Stand & Deliver "
Rumen Ivanov (DHL) " The 21st Centure Spice Trade "
Albert Stepanyan "Neural networks and Deep learning "
Björn Weigel "The Innovation Illusion"
Justine Toms "How digital helps businesses to expand and discover new opportunities "
Rune Sovndahl "Success in Eastern Europe - the Pros and Cons of Working Here"
Cuneyt Erpolat "B2B and related ecosystem"
Marcin Olender "Digital transformation with Google"
Alex Popov " 3 Gold Keys to Quick, Easy and Profitable Business Online "
Are you looking for group tickets? Innowave 2017 Business and Startup Conference is organized by non-profit association Bulgarian Business Forums.